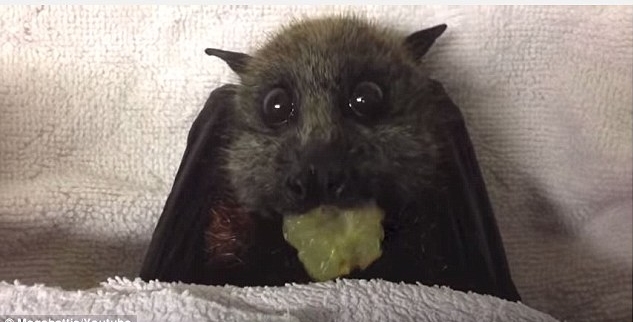 With big wide eyes and full cheeks, it is difficult to not find Sully the flying-fox adorable in this incredible video which documents her journey from near death to finding out she is pregnant. The footage, uploaded to YouTube, shows Sully the grey headed flying-fox lying on the ground under children's play equipment considered nearly dead by her founders as she was unconscious and unresponsive. But a quick thinking Sydney residents rushed the bat to the vets for an x-ray to check for a spinal fracture. The x-ray found no fracture but discovered she was pregnant and due in two months time. It's a happy ending for all as the rescuer says 'after six weeks in hospital Sully is released to join the wild locals on Sydney's upper north shore and is still pregnant'. 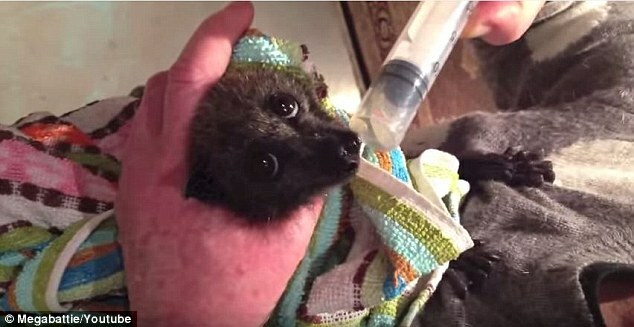 Responses to "Semi-dead pregnant flying-fox is brought back to life and turns out to be incredibly cute"
That's one cute little bat.. :)... Im so happy she got help..
Wow! What a wonderful rescue. Lucky little bat <3...wonder how it went with her baby...? Thank you rescuers for helping this beautiful flying fox. Todos los animales son bellos. Wonderful ..thank you for care to this little thing ! would make a real happy ending.